UK finally lost the Chagos Archipelago to Mauritius! The Neo-Colonial Relic, the islands that departed unfairly in the 1960s, which the United Kingdom and its allies has made into a strategic military is now deemed illegal by the International Court of Justice. That was about time, as the Republic of Mauritius is getting their territories back. This because the Her Majesties Government back in 1968 didn’t decolonize Mauritius properly. They clearly overstepped their boundaries and took the administrative role. As they ensured control and also made both Mauritius Nationals and Chagossian people into refugees and migrants. As they had to resettle elsewhere, because the United Kingdom took over the land. Therefore, today’s legal judgement in the International Court Justice, have voted in favour of Mauritius and their claims to the islands, this means the United States and United Kingdom have to vacate or make arrangements directly with Mauritius, as they took the Archipelago without justification. “Is of the opinion that, having regard to international law, the process of decolonization of Mauritius was not lawfully completed when that country acceded to independence in 1968, following the separation of the Chagos Archipelago; Is of the opinion that the United Kingdom is under an obligation to bring to an end its administration of the Chagos Archipelago as rapidly as possible; Is of the opinion that all Member States are under an obligation to co-operate with the United Nations in order to complete the decolonization of Mauritius” (International Court Justice, 25.02.2019). This shouldn’t be shock, as this have been written about a decade ago: “Two chapters in particular are world-class journalism, reaching the heights of Pilger’s old friend and mentor Martha Gellhorn. “Stealing a Nation” tells the shamefully under-reported story of how the British government ethnically cleansed thousands of its own citizens – a “crime against humanity”, according to the International Criminal Court. In secrecy, during the late 1960s and early 1970s, British governments “tricked, coerced and finally expelled the entire population” of the Chagos Islands in the Indian Ocean, “to give the principal island, Diego Garcia, a paradise, to the Americans for a military base”” (Johann Harri – ‘Freedom Next Time, by John Pilger’ 09.07.2006, Independent). So, today, this wrong is hopefully ending. That the theft of the islands in favour of a military base is soon undone. As the International Community should care for what it takes away. The sins of the past, which has hurt the Mauritius Nationals and Chagossians there. They should be relieved and also patch their hurt. Since, the United Kingdom and United States of America has held the islands without rights. Their imperialistic and neo-colonial behaviour has been the pre-text for these actions. Seemingly, done it without any fuzz. Now, they should move on and even back-pay for the damages done to archipelago there. Mauritius and their population deserves so. Peace. BRUSSELS, Belgium, September 14, 2016 –The European Parliament approved an agreement granting duty-free access to the EU for products from Namibia, Mozambique, Botswana, Swaziland and Lesotho, and improved market access for South Africa on Wednesday. The Economic Partnership Agreement (EPA) with six member states of the South African Development Community (SADC) establishes a “positive discrimination”, ensuring immediate duty- and quota-free access for their exports to the EU market. It also creates new regional opportunities through more flexible use of rules of origin. I am pleased to greet the Sixth Meeting of the States Parties to the Convention on Cluster Munitions. I congratulate the Netherlands for assuming the Presidency of the Meeting and for leading its preparations. I also thank Switzerland, the host country. Over the years, States, international organizations and civil society have worked together to establish and implement a solid legal norm prohibiting the use, development, production, acquisition, transfer or stockpiling of cluster munitions. This unity has made the Convention a success. I congratulate Colombia, which ratified during the First Review Conference last year, as well as Cuba, Mauritius, Palau and Somalia for joining the Convention most recently, bringing the number of States parties to 100. The United Nations will continue to support all efforts aimed at the universalization of the Convention. With the adoption of the Dubrovnik Action Plan, States parties have set an ambitious path of concrete actions and specific deadlines for the Convention’s further implementation by the Second Review Conference in 2020. Actions are to be undertaken in the crucial areas of universalization, stockpile destruction, clearance and risk reduction education, victim assistance, international cooperation and assistance, transparency and national implementation measures. Our shared hope is to achieve the destruction of additional stockpiled cluster munitions, the release of previously contaminated land for productive use and, ultimately, a reduction in the number of new victims. Ridding the world of heinous cluster munitions is a moral and humanitarian imperative. I wish you every success as you embark on your important deliberations. Guptagate: A new proof of Connection between Zuma and Gupta Families; the receipt shows a connection between the VFS Visa Processing (SA) and Islandsite Investment! A receipt for payment to outsourced visa company VFS, which was erroneously presented to the Parliament of South Africa as proof of a link between that company and the Gupta and Zuma families. Shareholder register for VF Worldwide Holdings LTD as of February 2016. Documents that proves their some connection between the Zuma Family and the Gupta Family. Not that it’s shocking at this point as even one of the sons even resigned from Oakbay Investment; which is also a Company owned by the well-known financial rich family who are inter-connected with the Zuma’s. That might have altered his judgement as his family have been hired by these men. Also seeing that the VFS Holding Company is “officially” part of Mauritius Tax-Haven; while the VFS Visa Processing (SA) Company is working and earning the Cash and Profits in South Africa. Does not look like fair trade or a fair deal for South Africans who are using and traiding with VFS subsidiaries and the Companies owned by the Gupta’s. Peace. (Nairobi, November 2, 2015) – Kenya is teetering on the brink of financial meltdown with the implosion of at least two private commercial banks in the last few months and signing of loophole-ridden double taxation agreements with tax havens Mauritius, United Arab Emirates and Qatar. Tax havens are countries or states that position themselves as low tax jurisdictions allowing companies and rich individuals to hide their wealth without paying appropriate taxes where they actually make their profits or wealth. Tax Justice Network-Africa (TJN-A) in October 2014 sued the Government of Kenya (specifically the Cabinet Secretary to the Treasury, Kenya Revenue Authority and the Attorney-General) challenging the constitutionality of the Kenya/Mauritius Double Taxation Avoidance Agreement signed in Port Louis, Mauritius on May 11, 2012 and as contained in Legal Notice 59 published in the Kenya Gazette of May 23, 2014. The Agreement significantly undermines Kenya’s ability to raise domestic revenue to underpin the country’s development by opening up loopholes for multinational companies operating in the country and super- rich individuals to shift profits abroad through Mauritius to avoid paying appropriate taxes. For example, provisions under Article 11 of the Agreement relating to interest limit Kenya’s withholding tax to 10 per cent whereas the Kenyan domestic rate currently stands at 15 per cent. This will significantly affect the tax base of the Kenya Revenue Authority (KRA). The Agreement also sharply contravenes Articles 10 and 201 of the Constitution and is inconsistent with the principles of good governance, sustainability and accountability. The Agreement is open to abuse and this could endanger the growth and development of Kenya. Three main reliefs sought by TJN-A are: that the High Court declares the government’s failure or neglect to subject the Kenya-Mauritius Double Taxation Avoidance Agreement to ratification in line with the Treaty Making and Ratification Act 2012 as a contravention of Articles 10 (a), (c) and (d) and 201 of the Constitution of Kenya. That the Court directs the Cabinet Secretary for Treasury to immediately withdraw Legal Notice 59 of 2014 and commence the process of ratification in conformity with the provisions of the Treaty Making and Ratification Act 2012. And award cost of the petition with interest against the Government of Kenya. The case came up for mention at the Nairobi High Court today, November 2, 2015. The court will fix a date for hearing the case on November 9, 2015. Speaking at a press briefing earlier today, the Executive Director of TJN-A, Alvin Mosioma said “there is need for public participation in the process of ratification of double tax agreements…double tax agreements kill the competitive edge of local firms”. 2 Senator Hassan Omar of Mombasa County who also addressed the press said Kenya’s “Parliament needs to appreciate its responsibility in safeguarding the public’s interests,” adding that “the reason people steal is because there is complicity and people are aware of it”. Provisions under Article 12 of the Agreement which relates to royalties also restrict at- source withholding tax to half (10 per cent) of Kenya domestic rate of 20 per cent. 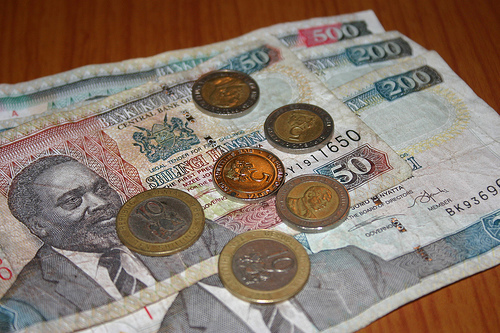 This will significantly weaken Kenya’s ability to raise revenue to finance its development. Additionally provisions under Article 20 of the Agreement reserves all taxation of “other income” not dealt with in specific Articles to the residence state. This effectively reduces withholding tax to zero per cent on services, management fees, insurance commissions among others, whereas Kenyan domestic withholding tax rate currently stands at 20 per cent. This is a major gap that will lead to massive revenue leakages. The Agreement is neither United Nations nor OECD compliant and it also fails to address the issue of disposal of shares in companies. The Agreement effectively reserves under Article 13.4 all taxation of capital gains from selling shares in companies to Mauritius where the effective Capital Gains Tax is zero per cent. Under the Agreement foreign investors in Kenya can acquire Kenyan companies through Mauritius holding companies and Kenya cannot tax any of the gains when they sell these businesses again. This is open to abuse. Similarly, domestic Kenyan investors can dodge Kenyan taxes by round-tripping their investments illicitly through Mauritian shell companies. Kenyan companies can also easily avoid Kenyan taxes in dividends paid to foreign investors through devices like share buy-backs therefore deny the government of development funds. The provision is very similar to the Capital Gains Tax Article in the India-Mauritius treaty which has proved very controversial costing India an estimated US$600 million a year in revenues as a result of tax avoidance and illicit round-tripping by Indian business executives driving the Government of India to initiate steps to renegotiate its agreement with Mauritius. Under the definition of ‘bilateral treaty’ in Section 2 of the Treaty Making and Ratification Act an ‘agreement’ such as the one between Kenya and Mauritius and which is the subject matter of this legal case, is a treaty subject to the Act and therefore requires that the Cabinet Secretary to the Treasury in consultation with the Attorney General, submit to the Cabinet the treaty, together with a memorandum outlining, inter alia – 1. Policy and legislative considerations, 2. Financial implications 3. Implications on matters relating to counties, 4. The views of the public on the ratification of the treaty. Mauritius presently has tax treaties with 13 African countries namely Botswana, Lesotho, Madagascar, Mozambique, Namibia, Rwanda, Senegal, Seychelles, Swaziland, South Africa, Tunisia, Uganda and Zimbabwe. Apart from Kenya, Mauritius also has signed Double Taxation Agreements with Congo, Zambia and Nigeria. Currently Mauritius is negotiating DTAs with Algeria, Burkina Faso, Egypt, Gabon, Ghana, Malawi and Tanzania. Unlike Mauritius’ DTA with Uganda and Nigeria, for example, which have specific provisions for withholding tax for management/technical services fees, Kenya failed to negotiate any such provisions. In a related development, the Government of Kenya has signed an equally harmful Double Tax Agreement with United Arab Emirates and Qatar – both of which are tax havens – in which Kenya further deems its right to tax as unnecessary in a bid to attract investment from these two countries. These agreements will deepen Kenya’s current cash crunch by allowing the further erosion of the country’s tax base. – END. ABOUT TJN-A: Tax Justice Network-Africa (TJN-A) is a Pan-African initiative and a member of the Global Alliance for Tax Justice. It is a network of 29 members in 16 African countries. TJN-A collaborates closely with these member organisations in tax justice 3 advocacy at the national and regional levels. TJN-A seeks to promote socially just and progressive taxation systems in Africa, advocating for pro-poor tax policies and the strengthening of tax systems to promote domestic resource mobilisation. TJN-A aims to challenge harmful tax policies and practices that favour the wealthy and aggravate and perpetuate inequality. For further enquiries, please email Kwesi Obeng at kobeng@taxjusticeafrica.net (+254 726 804 400) and/or Michelle Mbuthia at mmbuthia@taxjusticeafrica.net (+254 724 994 796).